With fully furnished apartments and like-minded neighbors, innovation has never been so easy. 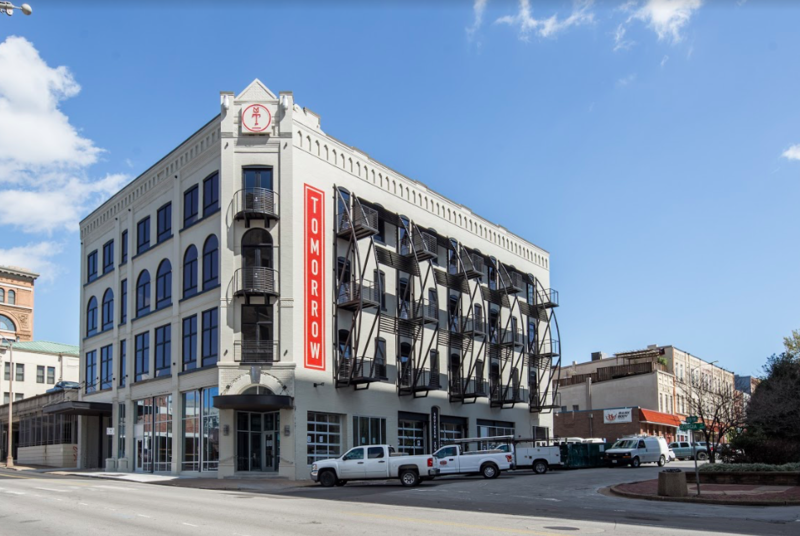 Located in the Innovation District of Chattanooga, Tennessee, the Tomorrow Building is the first coliving residence in the southeast! This historic building (built in 1888) is in the heart of downtown where nearby developments include the newly renovated Miller Park, improved walkability, and plenty of retail establishments. One of only a few cities to have a designated innovation district, this 140 acre radius is made up of of businesses, organizations and nonprofits that apppeal to the city's entrepreneurs, creatives, civil servants and professionals. Voted the Best Town Ever by Outdoor Magazine and rated one of the 'lowest cost of doing business' cities by Forbes, Chattanooga offers newcomers the best of both worlds! Haven’t made up your mind just yet?